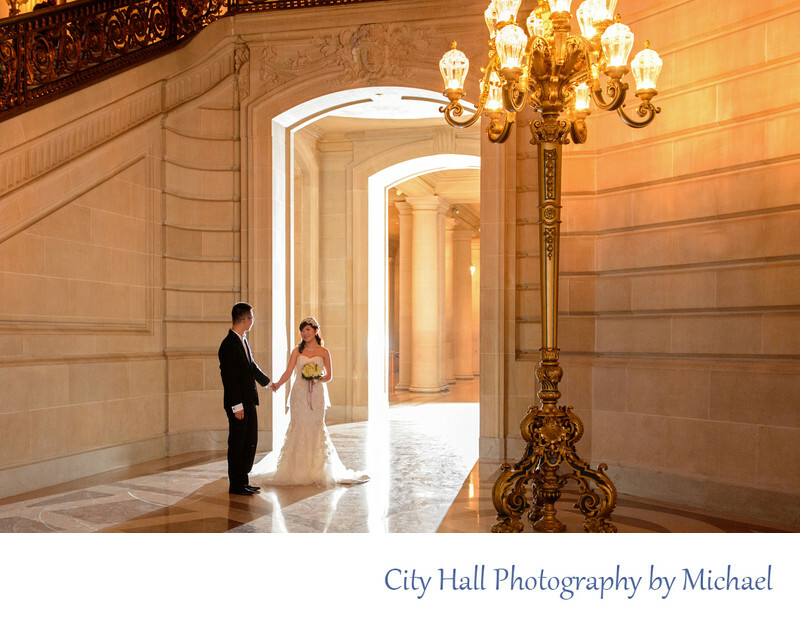 One of the great things about being a San Francisco city hall wedding photographer is the fact that we get exposed to many different cultures on a daily basis. By far one of the more frequent types of weddings we cover are from the Chinese culture. In some cases we have actually photographed weddings where the couple actually was visiting from China. Some didn't even speak English which created a whole new challenge, but a fun one. In fact, when faced with non-English speaking couples, we show them the poses rather than telling them. One of the benefits of handling most of our weddings with 2 wedding photographers is the fact that we can demonstrate some of the poses for our couples.